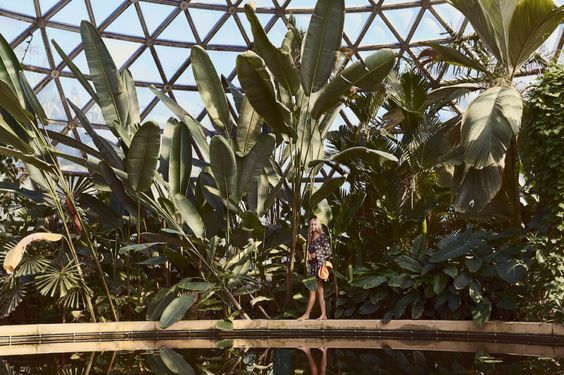 These stunning photos are from the latest Tree of Life Lookbook Illustrated Garden. 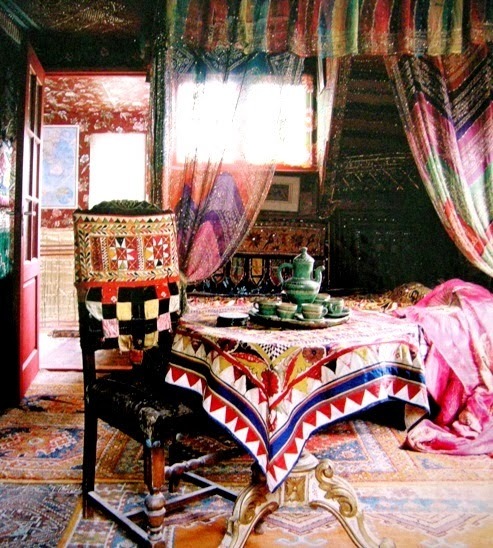 This bohemian lookbook is a total dream! 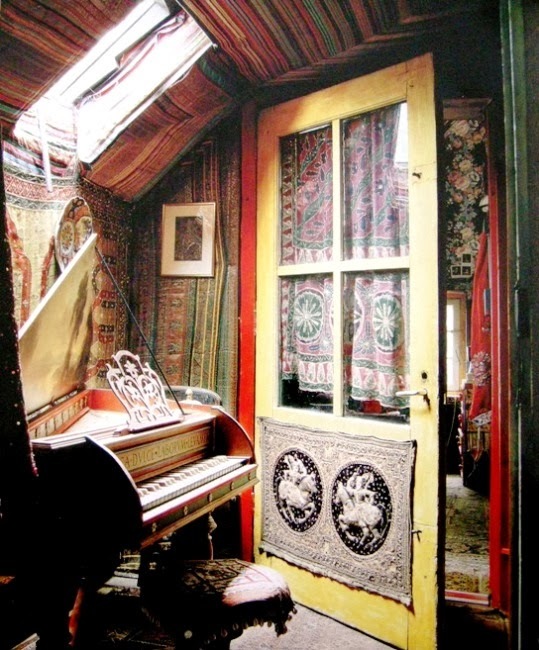 I love discovering new Artists to fall in love with. 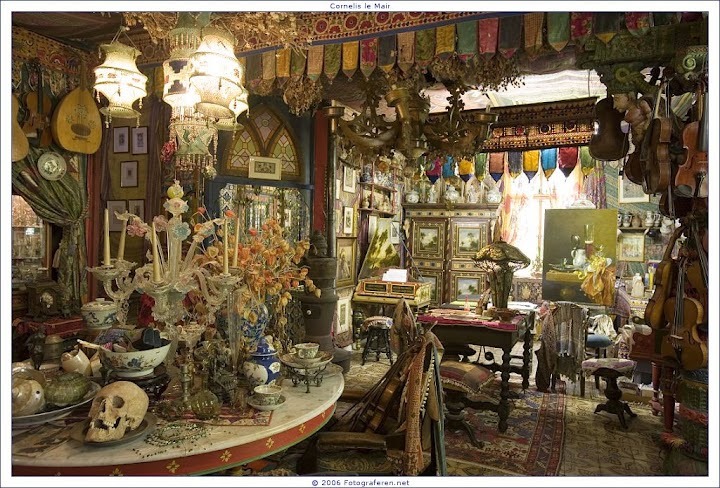 Especially if there is an exhibition for me to drool over! 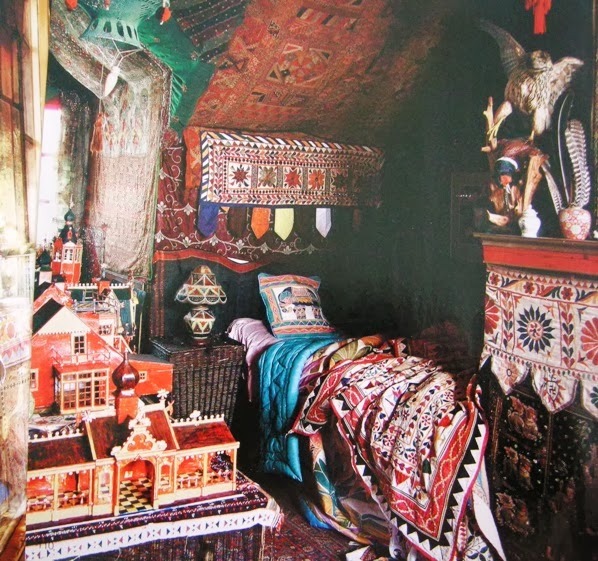 In the late 1960s, Adnan began producing tapestry designs, later having them made into some of the large scale tapestries on display at the Serpentine. 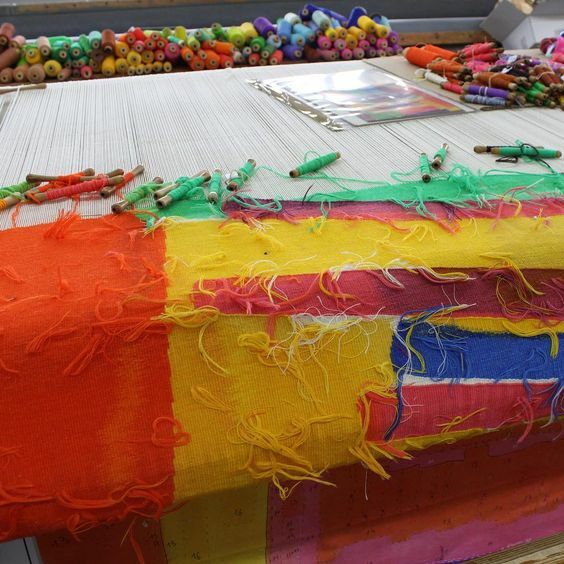 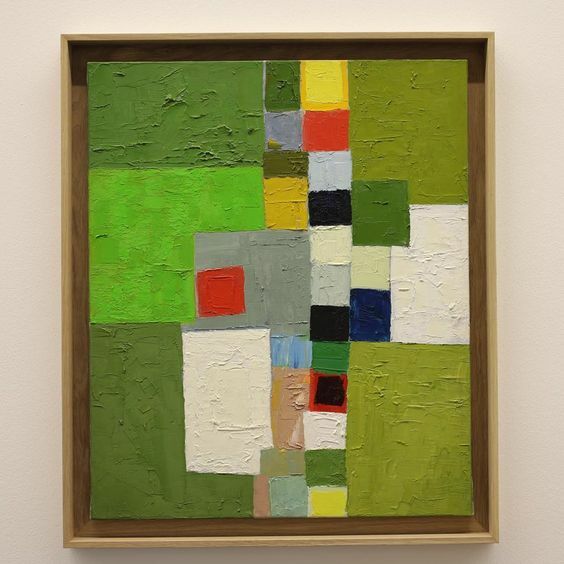 Inspired by the feeling and colour of the Persian rugs of her childhood, the vibrancy of colour and form that exists in her paintings has been translated into wool, woven by hand. 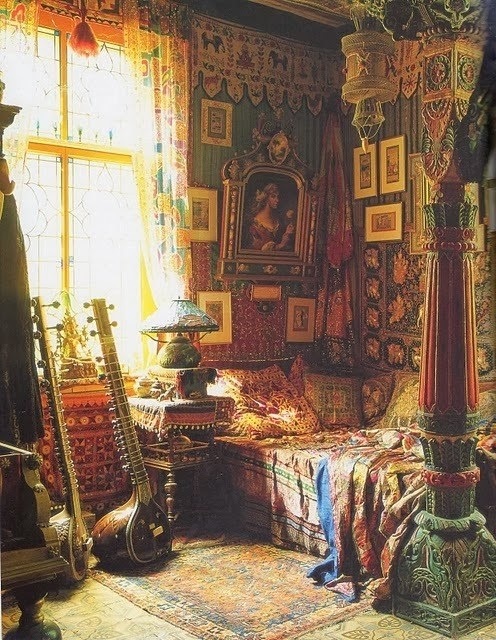 Rather faboulous isnt it? 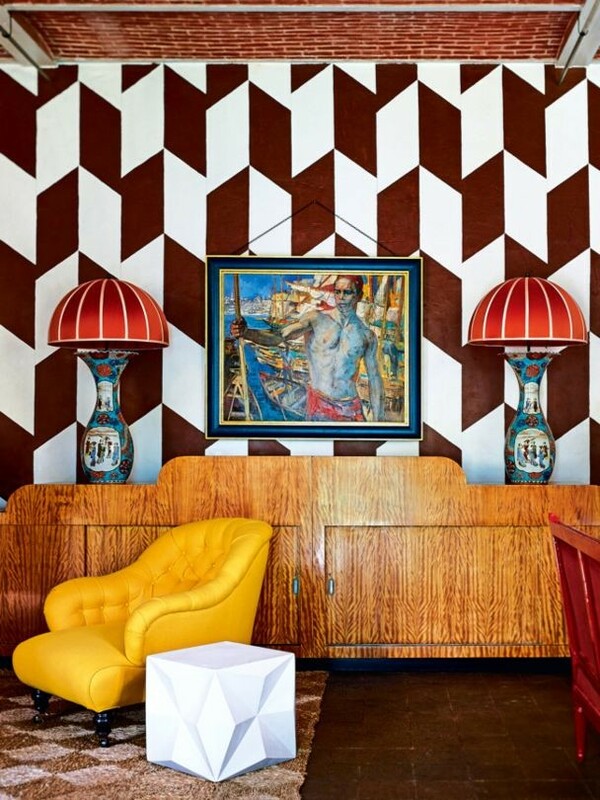 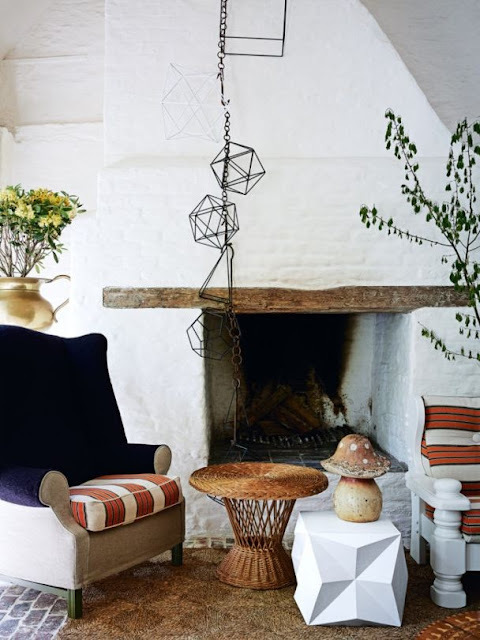 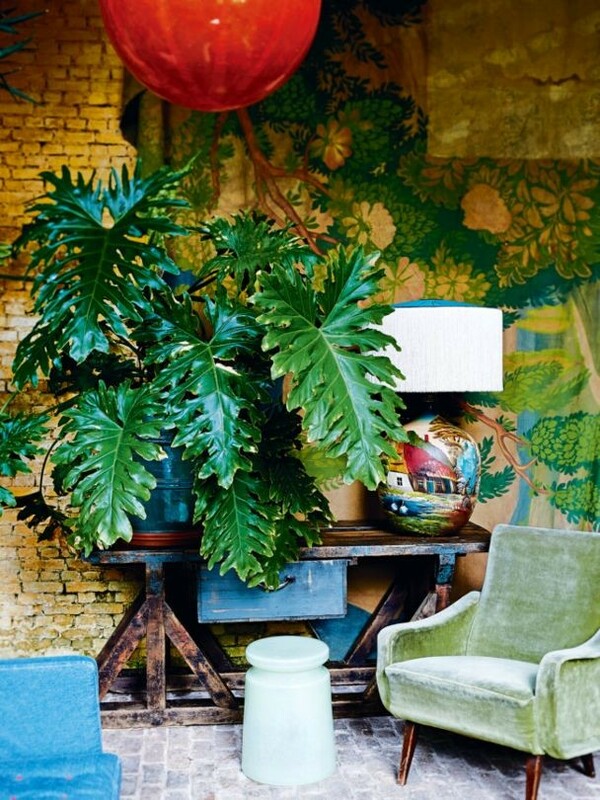 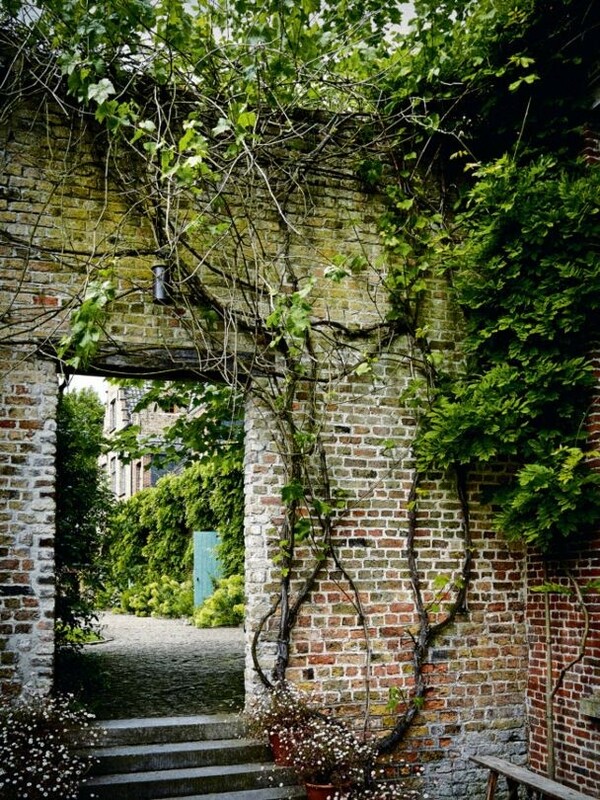 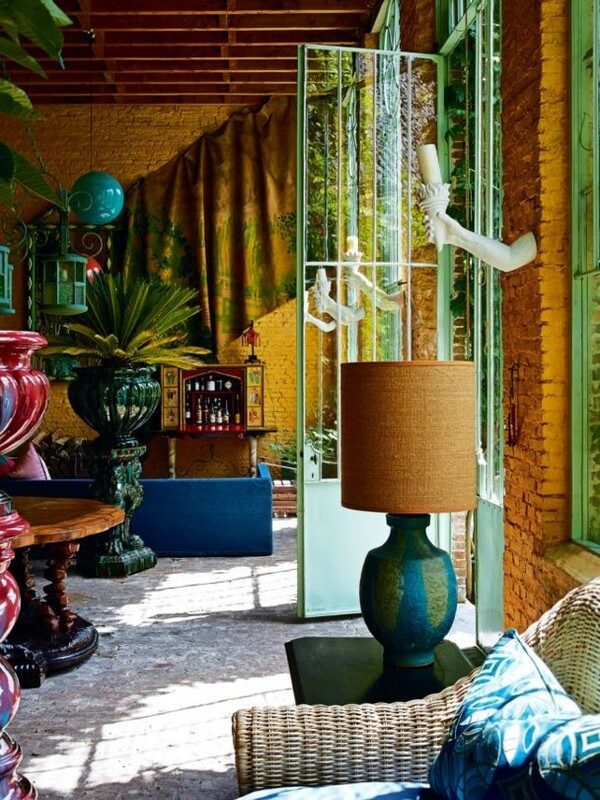 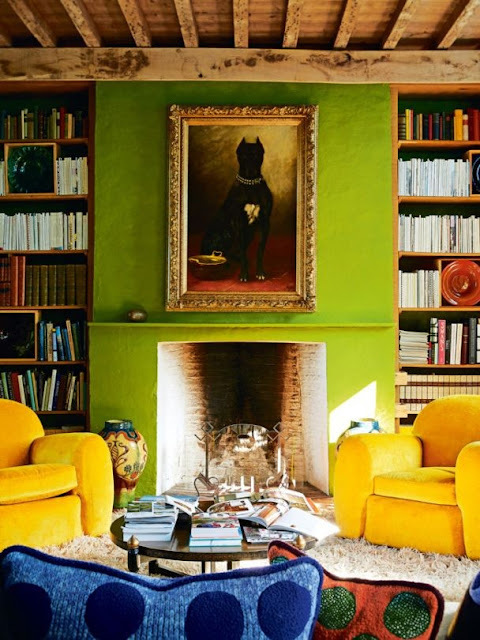 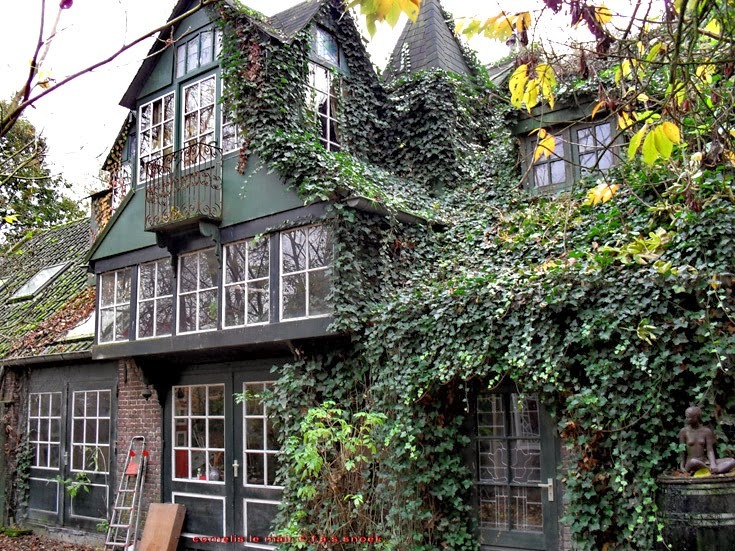 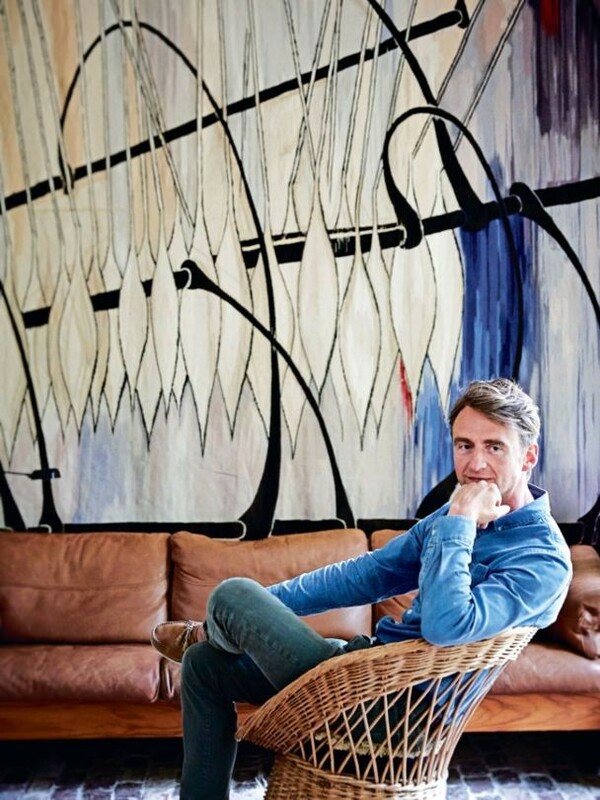 This is the Belgian home of Art and Antiques dealer Jean-Philippe Demeyer. 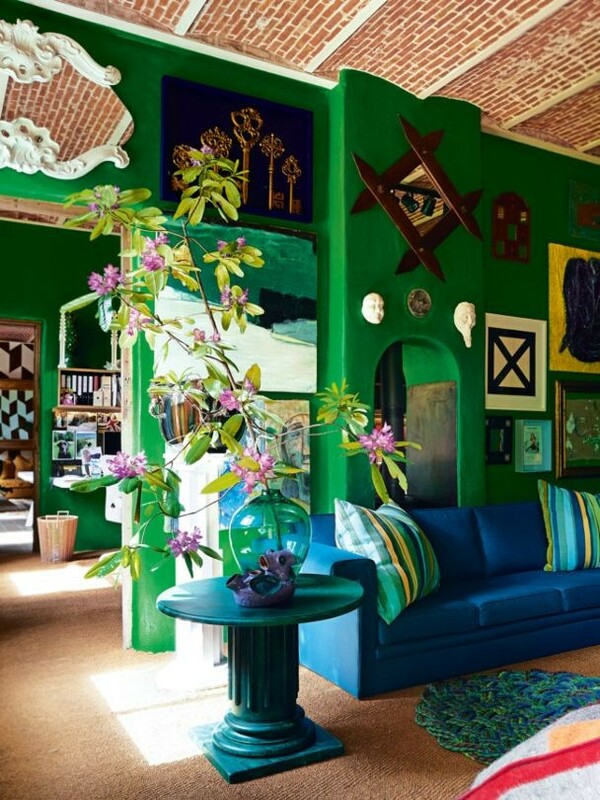 I just love all the daring bright colours and unusual shapes. 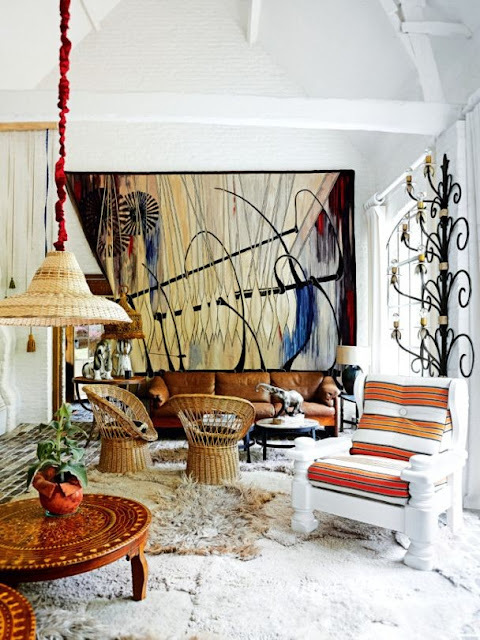 I also love that huge abstract painting in the white sitting room. 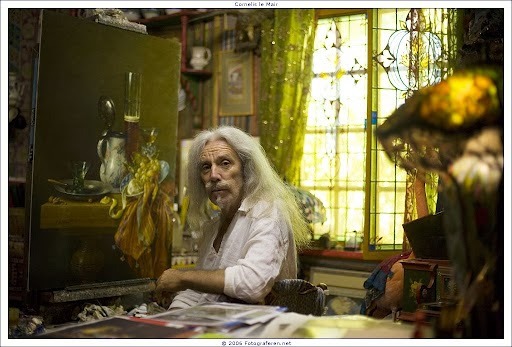 serious. “You have to give things a twist,” he insists. " 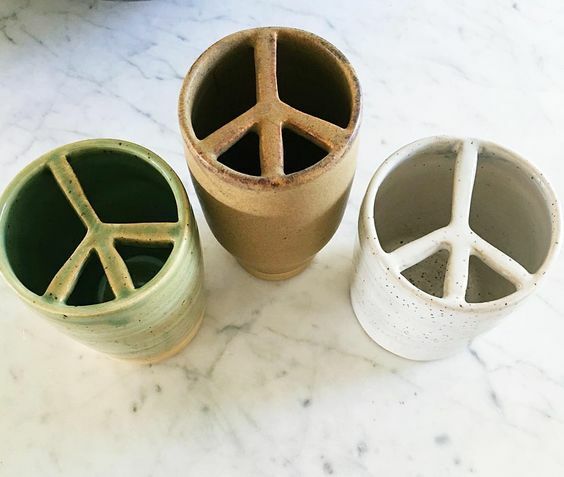 How cool are these 'Peace Piece's' from Los Angeles based artist and Jewellery maker Lucy Mitchel? 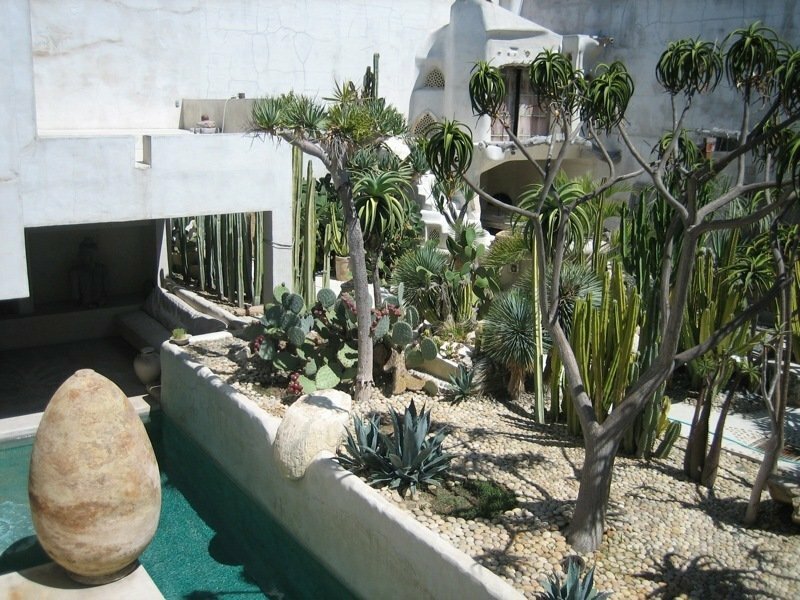 You know when you read about celebrities that don't actually own a place but spend a fortune staying in hotels and rentals? 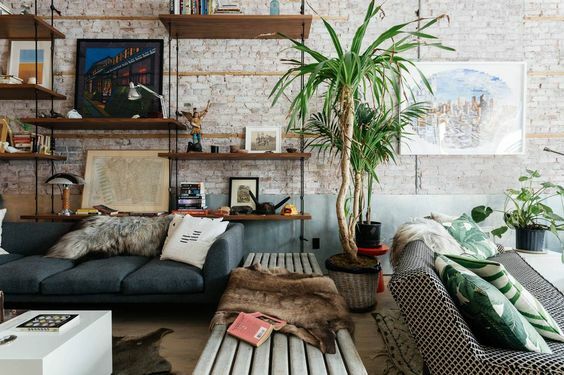 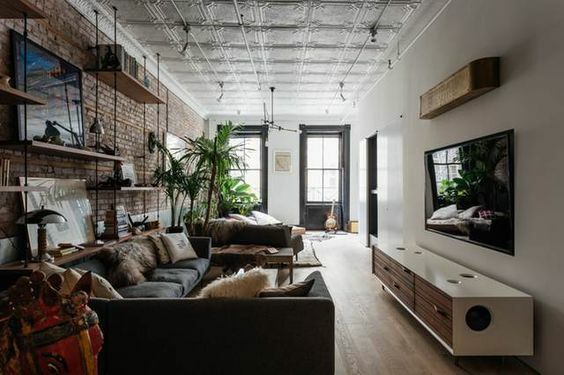 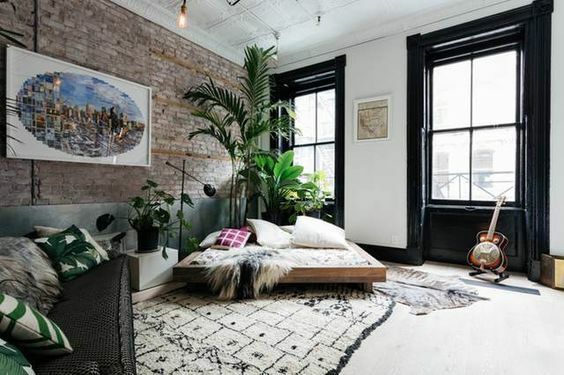 I never quite got it but looking at this awesome Tribeca, New York Pad up for hire (for a minimum of 90 days) I can now see why. 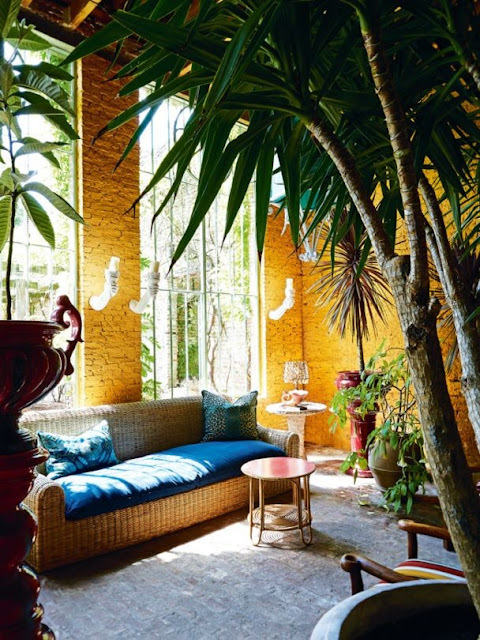 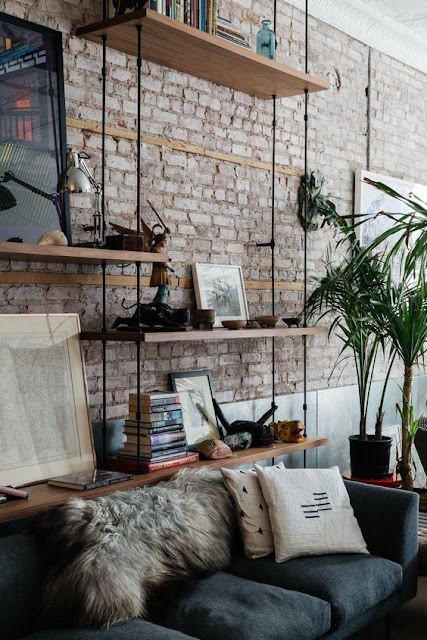 "Shelves of curios and a small forest of potted plants greet you as you enter the sitting room of Franklin Place, which has low-slung sofas and hardwood floors. 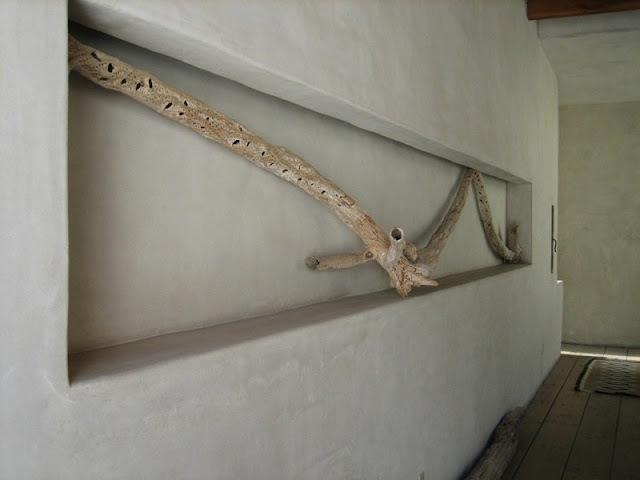 There are natural history artefacts throughout the home, most notably the skeleton suspended above the dining table. 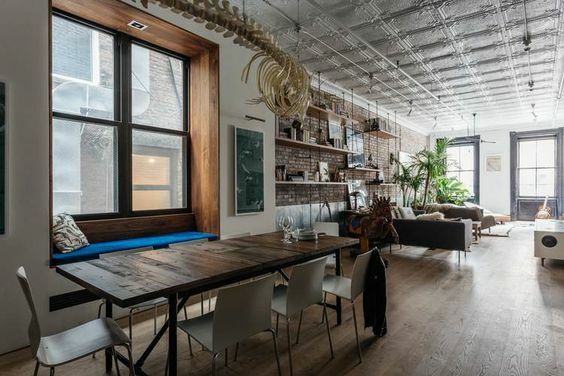 The table seats eight, and just past it is the kitchen, where open shelves and subway tiles give the space an industrial feel. 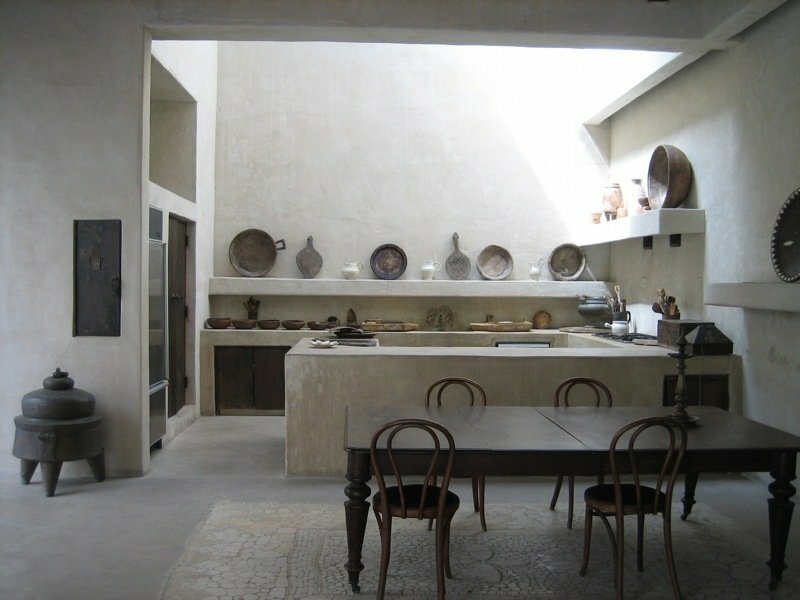 Past the kitchen, a hallway takes you to the second and third bedrooms, which are connected by a bathroom. 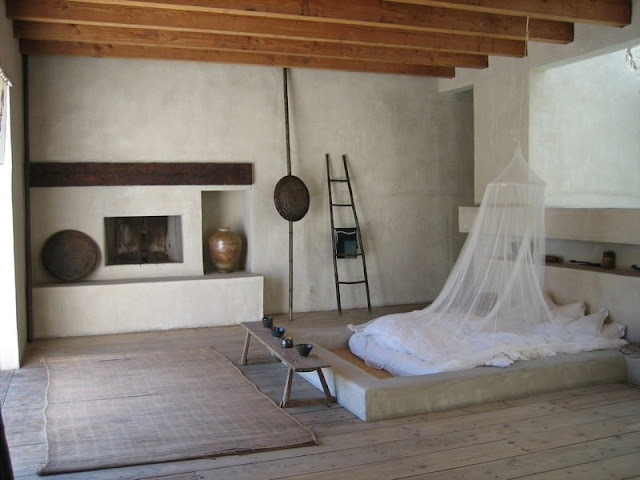 The master bedroom, with its elegant tiled wall, is at the end of the hall. 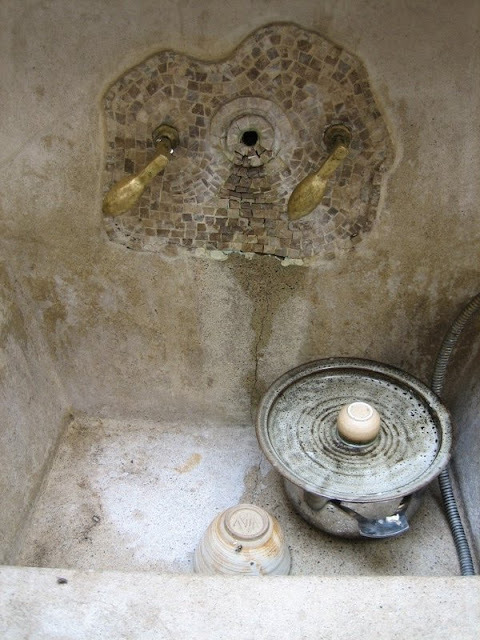 The final exhibit is the spa-like ensuite with a Jacuzzi bath and a steam shower." 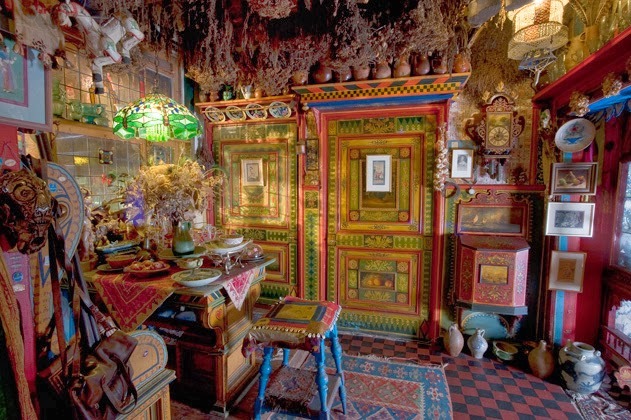 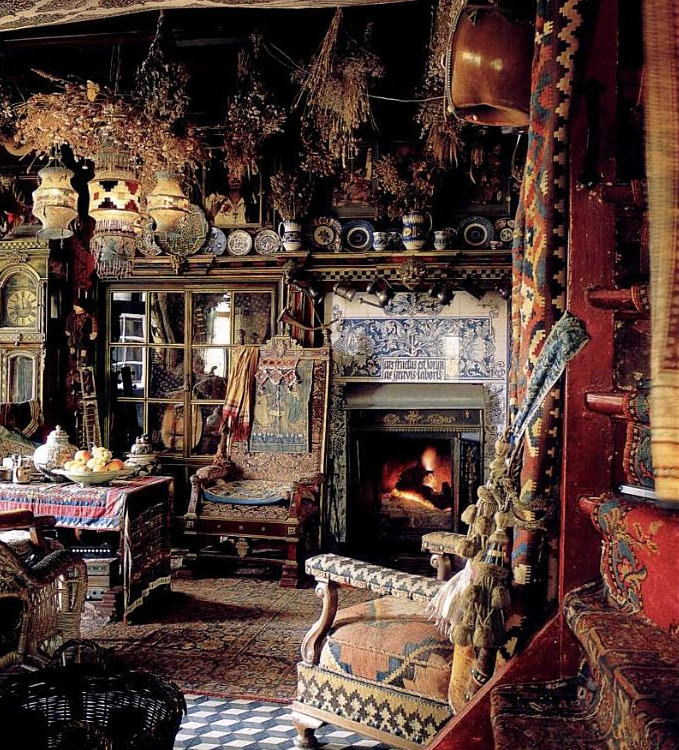 How awesome are these photos of Dutch Artist Cornelis Le Mair's bohemian home that i found over at Romany Soup? 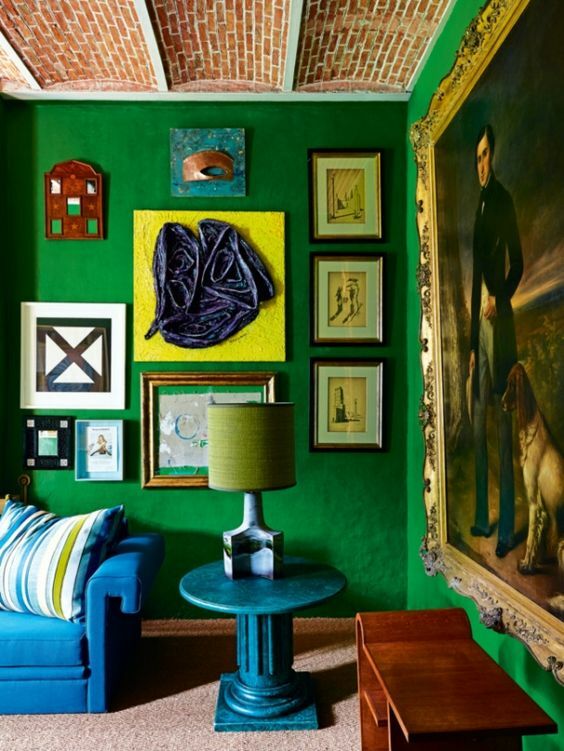 Against the all white and natural trend that is in abundance at the moment it is nice to see some good old fashioned colour and eclectic collecting!!! 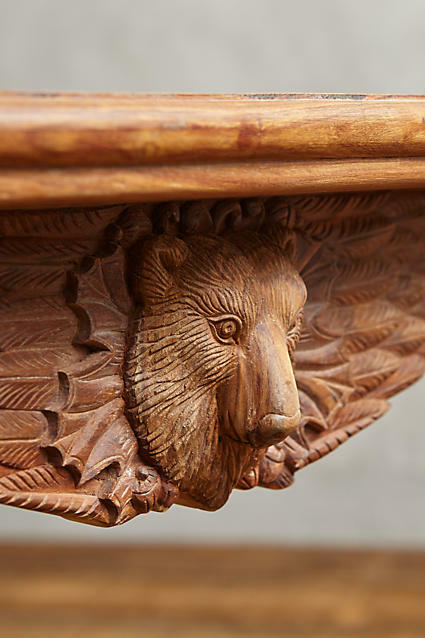 Anthopologies woodland inspired Menagerie Dining Room furniture is about as dreamy as dining room furniture could be isnt it? 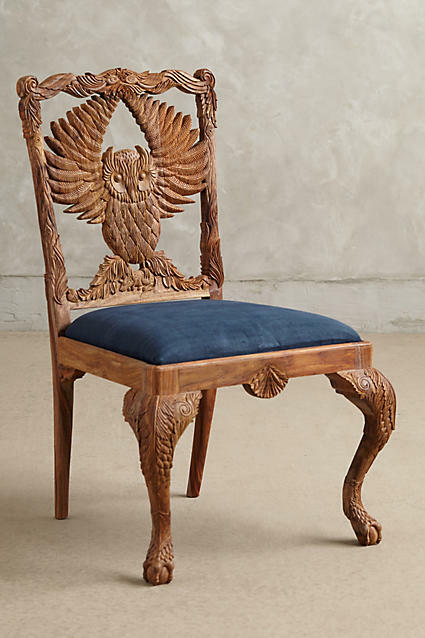 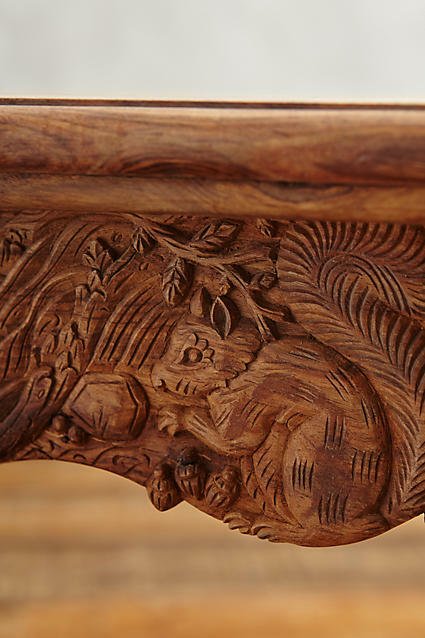 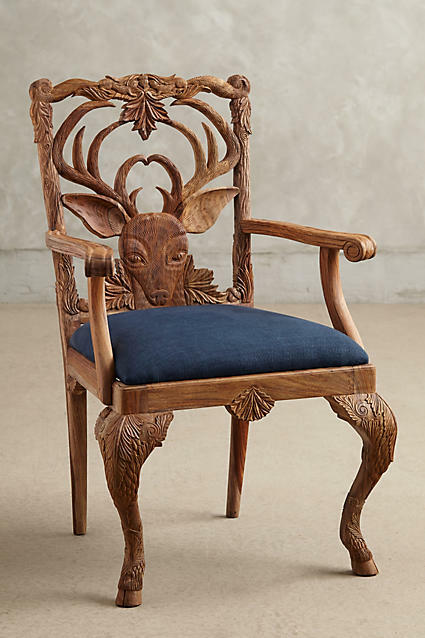 .....maybe my partner wouldn't mind too much if i had a go at carving our dining room furniture.... hmmm maybe not! 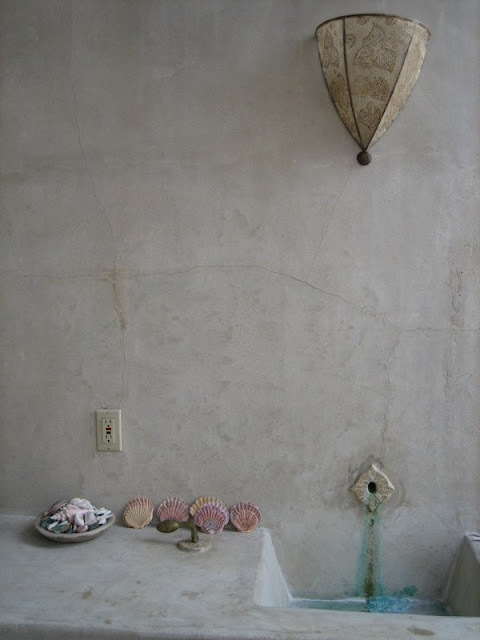 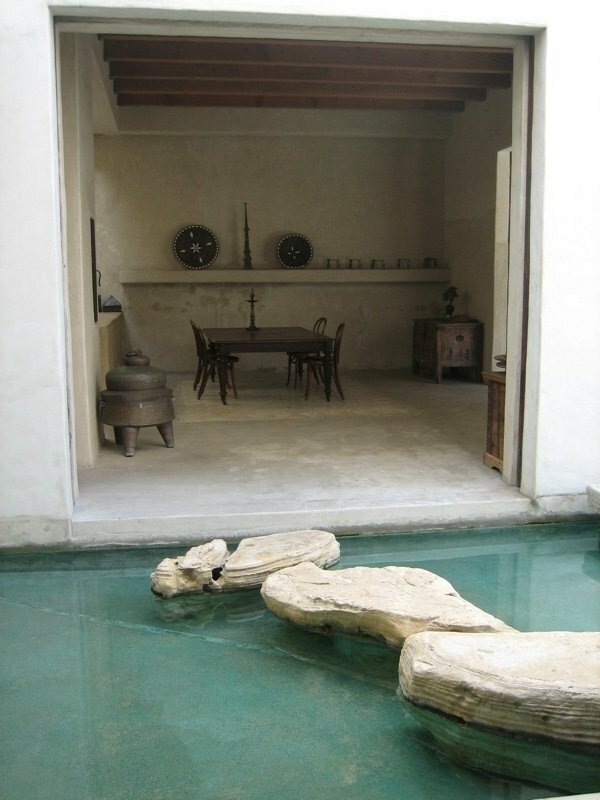 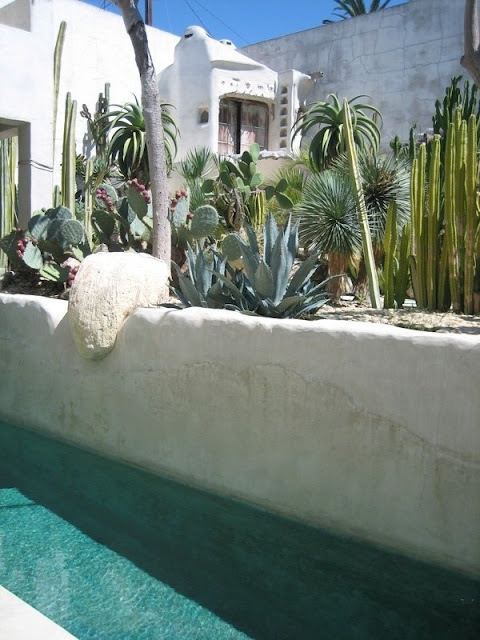 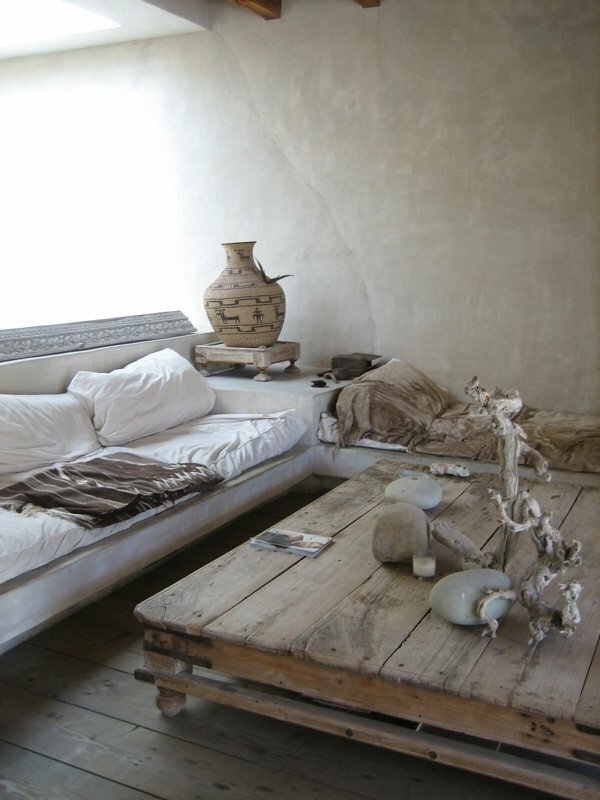 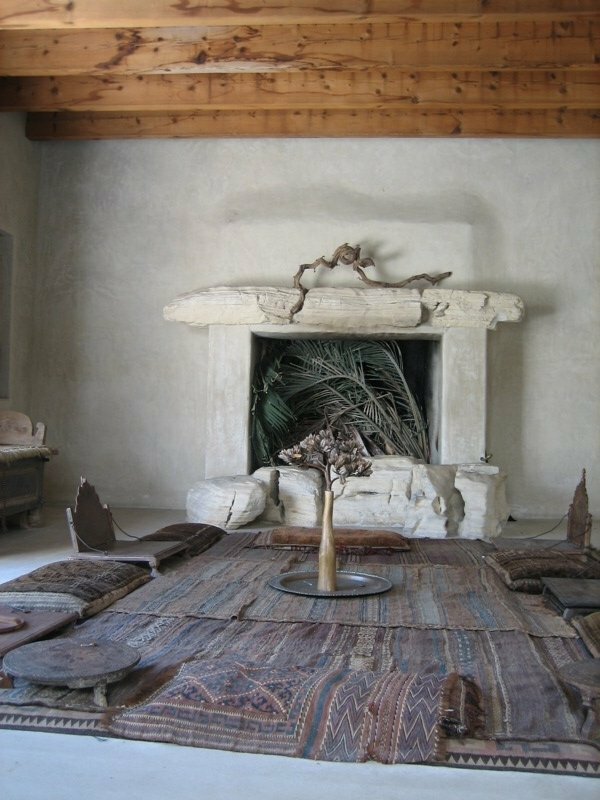 The house which he created 30 years ago has been inspired by his travels to Morocco and used as a shoot location multiple times. I am not usually one for minimalism but this place is pretty darn special !